Based on the reconnaissance and analysis technology, the data set is made up of the reconnaissance and analysis results and the interpretation of remote sensing, and the spatial reference (projection and coordinate system) is Albers. The survey results images are derived and read in software ArcMap, using a variety of tools for a map, based on the scale of standard framing way of interpretation, the formation of vector data is formed into the file. Finally, the data is exported in the vector file.The data of administrative division, landscape, soil, vegetation , land use, traffic road and residential elevation were extracted from the file library to build the basic geographic database of Songliao basin. 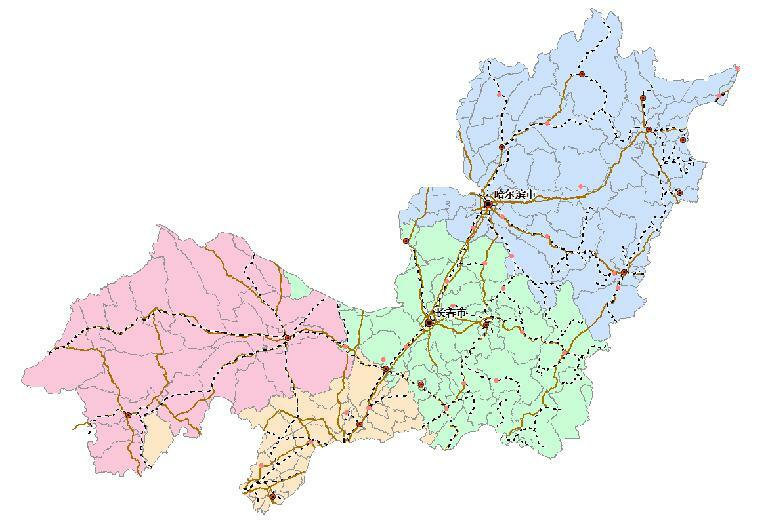 The basic geographic database of Songliao basin in northeast of China.Disaster Risk Reduction Knowledge Service of International Knowledge Centre for Engineering Sciences and Technology (IKCEST) under the Auspices of UNESCO, 2017.11.10. http://drr.ikcest.org/info/9e37f.